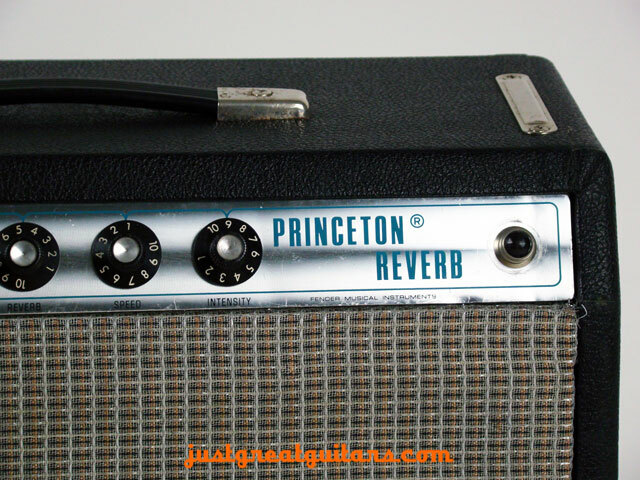 The silverface Fender Princeton Reverb was manufactured from the late 1960’s up until 1980 and this particular amp dates from the period between 1976 and 1980 as it features the orange and silver grille. 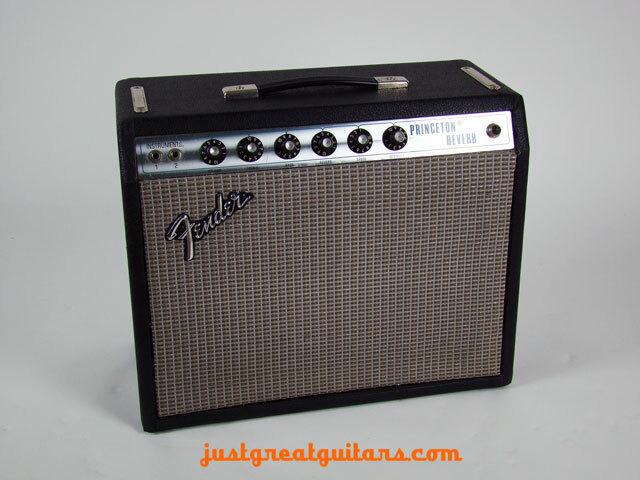 The amp is rated between 12-15 watts and despite the apparent small output, it packs an incredible vintage punch and a very high class tone. 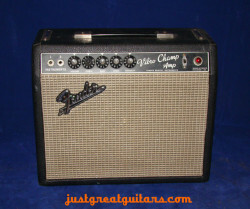 If Classic Rock and Blues guitar are your thing then you need look no further than this beauty of a Fender tube amp. 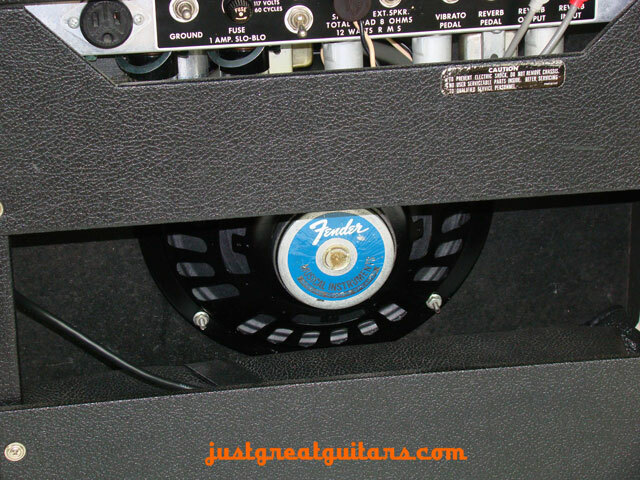 Featuring a single 10″ speaker, this amp just oozes those classic blues-rock tones heard on so many records during the 70’s and as many recording engineers knew at the time, a small amp cranked up yields a very big tone indeed. 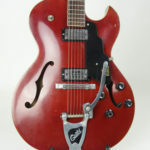 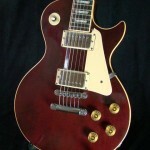 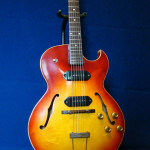 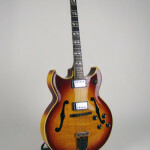 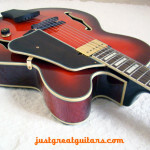 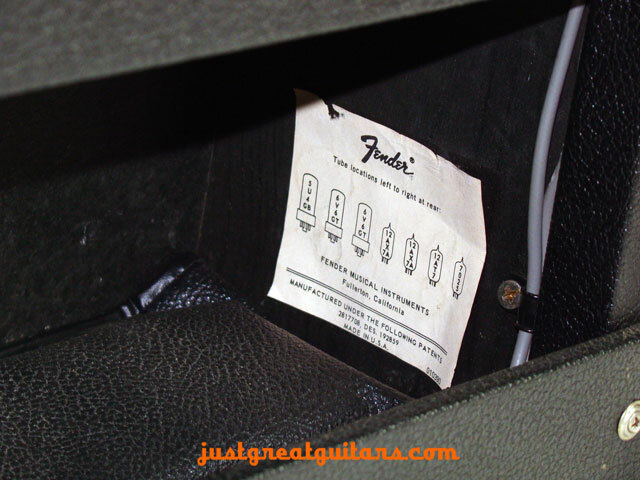 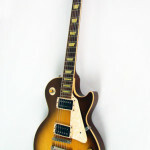 If you think of guitarists like Joe Walsh and Pat Travers you will get the idea straightaway. 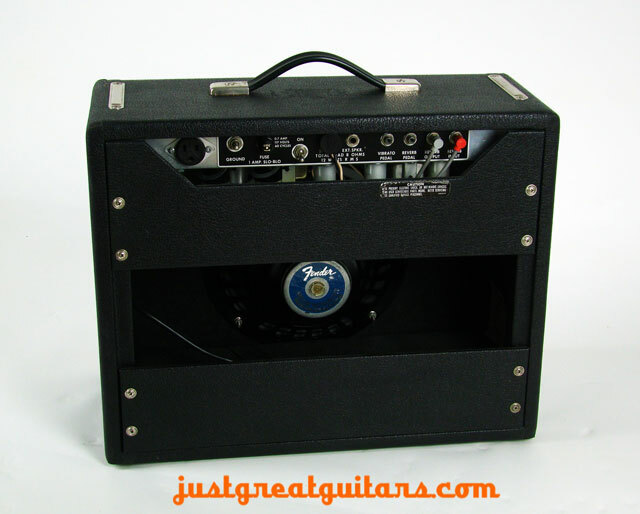 Weighing in at around 31 Ibs, it makes an ideal amp to carry around for small gigs and when put through a PA you will hear a tone and projection that you’d swear was coming from a far larger amplifier. 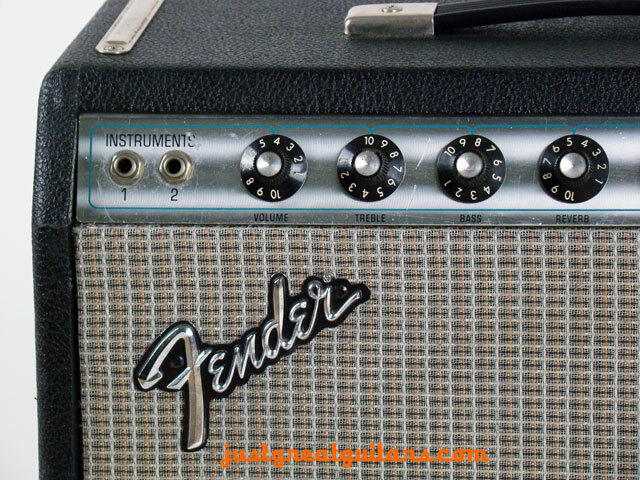 As a studio amp it has few rivals and you can easily get those classic Fender clean tones as well as the much copied ‘edge of breakup’ overdrive. 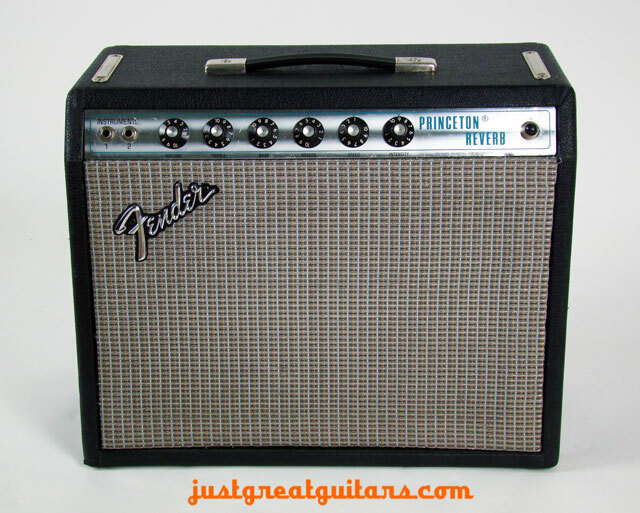 The Fender Princeton Reverb also features their incredible tremolo circuit, so you will be in vintage tone heaven very quickly when you engage that alongside the legendary spring reverb circuit. 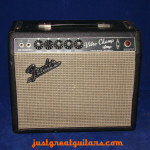 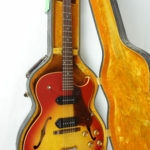 This amplifier is in very good condition and has only minor wear to the finish. 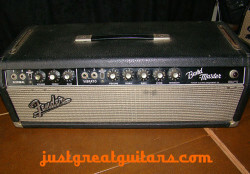 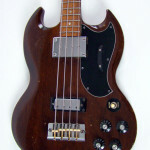 It is powered by 2 x 6V6GT power tubes and 7025.12AXT preamp tubes. 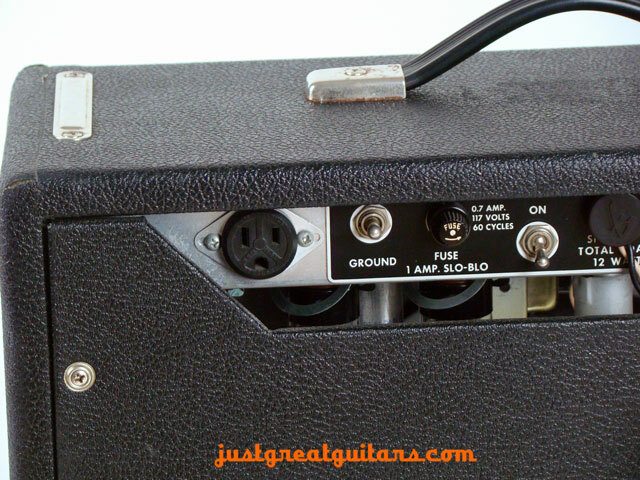 Original US voltage amp so European customers will need a step-down transformer. 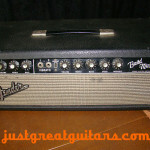 This amp will make someone with a real taste for vintage guitar tone very happy indeed.